“Being an old maid is like death by drowning, a really delightful sensation after you cease to struggle,” said Edna Ferber, a well-known turn-of-the-century author and playwright. The number of singles in the U.K. and the U.S. is rising, partly because younger people are delaying marriage and leaving the family home. But that doesn’t mean all those who are single don’t want to be married. According to a Gallup Poll, more than half of unmarried 18- to 34-year-olds want to get married, compared to only 9 percent who express no interest in marrying. Some do choose to remain unmarried, but for others being single seems like a curse. They feel lonely, isolated and often misunderstood. They may feel inadequate and experience the odd-one-out feeling. Jealousy of the happiness of others can be a constant battle, and of course there are the societal and family pressures to marry. Each person’s experience is unique, so generalities and even those trying to understand based on their own experiences may not really help. 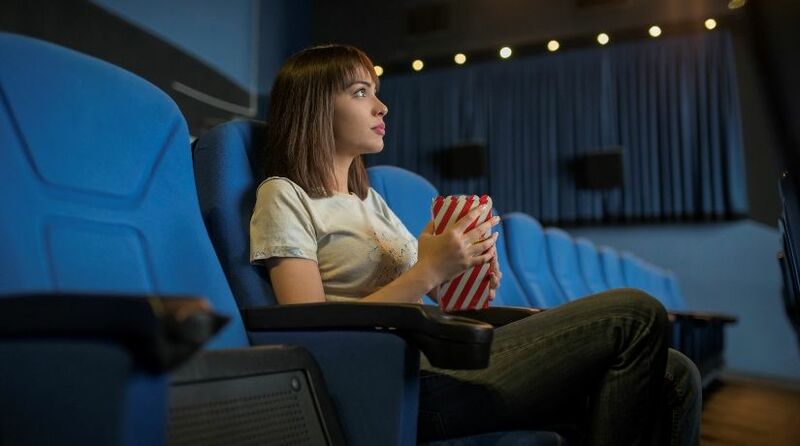 Being single may not sound enticing to some, but there are merits, according to Bella DePaulo, a social psychologist and writer on the single experience. Her research, which she shared in her address to the American Psychological Association in August 2016 called “What No One Ever Told You About People Who Are Single,” says singles are more likely to experience “a sense of continued growth and development as a person.” They may value meaningful work more than married people. And singles who are more self-sufficient are less likely to experience negative emotions. Her address gained a wide Internet audience, with a range of misleading article headlines saying singles are happier, richer and lead more meaningful lives. Some headlines created an us-versus-them scenario, bashing married life in comparison to all the virtues of being single. DePaulo, herself single, responded in a later article that it wasn’t a competition between marriage and being single. She said getting married or being single is a choice (though it is not this way in all countries and cultures), and some people live their lives best as singles, while others live their most authentic lives married. She said that for some it may be that different stages of life may favor either single or married status. An example would be a widow who had a good marriage with no regrets, raised her children and grew older with her husband. But when she became a widow, she learned to embrace her new stage of life, making the most of it and never wanting to marry again. There is an honor in each status! In Ecclesiastes 3 God says there is a time and a season for everything, and this would include being single and being married. Everyone starts out unmarried, and while many do marry later on, not everyone does. There is no shame, nor is there anything wrong, with someone who chooses to remain single. God’s love for us does not change with our marital status. He does not love us more if we are married, and He does not love us less if we never get married or are no longer married. God’s love for us does not change with our marital status. He does not love us more if we are married, and He does not love us less if we never get married or are no longer married. It appears that some of His greatest prophets were unmarried, as was our Savior. Even so, it still sometimes seems those who are married have opportunities to grow in ways singles do not. Some of these are growth opportunities because of challenges a couple must work through learning to blend two different people into one marriage. But those who are unmarried also have some specific challenges that provide growth opportunities as well. Some of these areas include avoiding bitterness, overcoming jealousy and rejecting the tendency to turn inward. Without a spouse and family, a single may have more time to serve, but that requires the courage to put one’s self aside and leave one’s comfort zone. How do singles overcome these and other challenges and embrace the attitude God has toward singles? While this commandment is not directed only at the unmarried, one of the root causes of bitterness, jealousy and turning inward can be a lack of contentment. In the Western world, there is an entire marketing industry luring people to want things they don’t have. The smiling faces of seemingly happy couples and families in everything from movies to billboards can be overwhelming for the lonely. We are told there is a time and a season for everything and that we are to redeem the time (Ephesians 5:16). What are you doing with your time in this unmarried stage of life? Take advantage of this time and do what DePaulo found singles are good at: work toward continuing growth and development as a person. Find and pursue things that are interesting to you, stretch yourself, broaden your horizons, learn something new, go on an adventure, overcome and grow spiritually. Above all, seek God and learn how to serve others. For more on what to do with life as a single, see “A Heart of Service” and articles in this “Dating” section.